Our Concrete repairs solutions will solve all your aquarium waterproofing issues so to have a safe and solid concrete pool. We have vast experience dealing with concrete repairs for aquarium and swimming pool walls. Our acrylic polishing services will bring back the clarity and high visibility of your damaged panel. 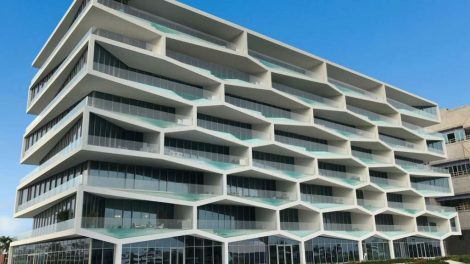 Whether on an infinity pool panel or wet polishing on a public aquarium facility we deliver premium services all over the world. Acrylic panel installation services for aquariums. 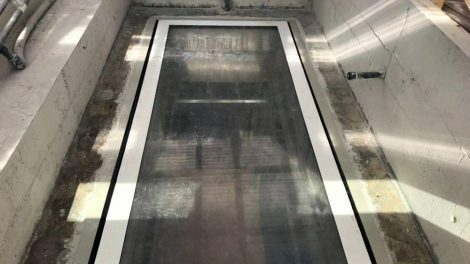 Aqualife is the only professional aquarium window installer that takes under its contractual liability the repairs and the preparation of the concrete or steel rebates. We provide installation services for swimming pool windows. Transparent pool floors and side windows for infinity swimming pools are our expertise. Our waterproofing materials are resistant to UV radiation and chemical erosion from low PH liquids & Chloramine additives. Aqualife is a full scale Public Aquarium Contractor. The services we provide vary from aquarium design and project analysis, then to construction to aquarium operation and finally aquarium maintenance. 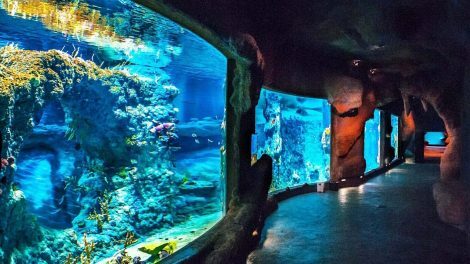 We manage the aquarium and we cover all technical aspects to bring to life your vision. Aqualife is a certified distributor and applicator of Polyurethane foam and Polyurea coatings all over the world. Polyurea is used in a variety of industry sections currently. 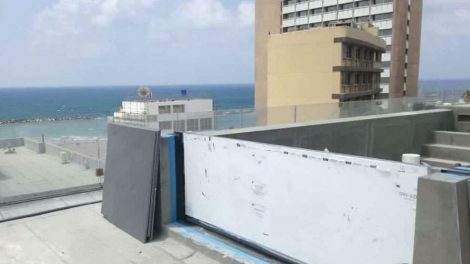 It is the most elaborate waterproofing method and protective coating technology available in the market today. Aqualife specialized staff has extensive experience in the design, development and installation as well as the maintenance of beautiful and original water features. Aqualife is a manufacturer, supplier, full scale contractor & operator of large and public aquariums, animated dancing fountains, koi ponds & cascades. In regards to aquariums and ponds, our aim is to recreate an environment as similar as possible to the beautiful natural surroundings of all aquatic species. Moreover we design water decorative by using the highest quality materials that will result to impressive features with low maintenance cost. Furthermore our company’s main concern is to provide satisfactory services to our customers. Our goal is to create a maintenance program that fits our client’s specialized needs, schedule and budget. Aqualife created a great marketing idea for our Grand Opening Week of our new Parousiasi store. The shark aquarium was amazing! Mr. George Sarafidis, President of Parousiasi stores. They solved all complex technical issues we had to face with when building this huge aquarium at Santa Barbara residence. Thank you for your professionalism and support! Eng. Michalis Ataliotis, Project Manager for the Santa Barbara VIP residence. We have found the members of Aqualife and their subcontractors to be fully cooperative during the design phase and the delivery phase. They delivered the project in conformance with our documentation and specifications. They have solved on-site conditions and they have been fair in considering changes and additional work. Moreover they have co-operated with Clients and Building authorities and they have generally delivered work of exceptional quality. In addition, they kept responding to problems after commissioning, which often are beyond the requirements of standard warranty. Consequently we would be pleased to recommend Aqualife for future projects. View here Promontorio Recommendation Letter. We never expected our pond to look better than the real lake we have next to our hotel resort. Feeding our Koi fish is something our clients love to do every morning while they are having their breakfast. Manos Koulias. CEO - Natura Park Village Resort. Aqualife changed our corporate offices with its wonderful live reef marine aquarium. The aquarium looks even better than what we ever expected. Thank you! Vlassis Lapatas - CEO at Enter to Travel. 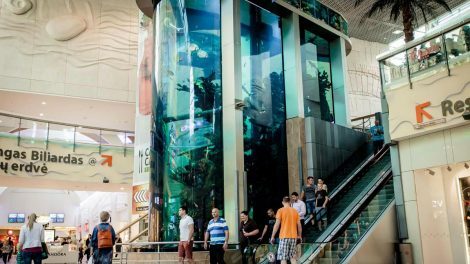 Aqualife worked during night time and provide us the highest possible quality of services, polishing the acrylic panels of the Dubai Aquarium. Eng. Nick Payne - Dutco Balfour. They solved all existing life support problems we had to live with from the previous installator and today manages our aquarium with a very innovative way. George Karivalis - General Manager at Metro Mall of Athens. Great aquascaping and hazzle free maintenance. Elena Liberis - Liberis Publications. We build and operate large custom aquariums. Additionally we offer acrylic glass aquariums of the highest quality with 8 years leakage warranty. Consequently we provide personalized services all over the world. Our maintenance services are performed by marine biologists with long experience in handling residential and commercial aquariums as well as ponds, anytime and anywhere in the world. Aqualife coupled with its subcontractors, is dedicated in creating unique wet and dry theming structures. 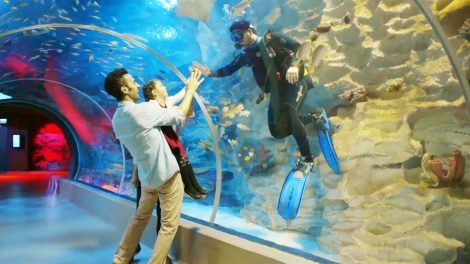 Hence we are theme park contractors for public aquariums and water parks. For the next large aquarium, swimming pool, fountain, pond as well as for acrylic or glass panel installations, concrete repairs and waterproofing services contact us now! Contact us now! View full list of clients.